help hundreds of aspiring bass players to be their best. For many years, I’ve had a dream of creating a web site to help bassists play better, and learn all the skills, including business skills, they would need to achieve their goals and dreams. In the beginning, In the past I’ve posted lessons on my personal web site (Lane On Bass). I have also written material for other sites. 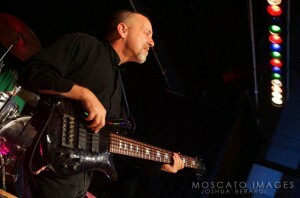 A few years back, I created Bass Lessons HQ, and began to record video lessons. Because of a heavy touring schedule, however, the going was slow. Now that I’m “off the bus” I have far more time to devote to my own projects, including this site. Over the coming months, I want to put far more effort into creating a much larger library of lessons. But creating and posting those lessons will take time I could use to earn a living, so I’m asking you to help support this site, and my dream. Donating to this site will help me build the lesson library faster. My goal is to have 500 videos by the end of 2012. Can you help me achieve that goal? Can you donate a few dollars to the cause? If so, please use the donate button below, and contribute whatever works for you. Any donation is greatly appreciated. So if you have a dollar you can offer, I’ll gratefully accept it. Plus – any donation of $10 or more will receive a thank you gift – Fifty Top Practice Tips for Bassists in PDF booklet form. It’s my way of saying Thank you for supporting Bass Lessons HQ! Thank you for your support! Your generosity helps me create more videos, reviews and lessons. Donating to this site will help me build the lesson library faster. My goal is to have 500 videos by the end of 2012. Can you help me achieve that goal? Can you donate a few dollars to the cause? If so, please click on the tip jar, and contribute whatever works for you. And thank you again for your support!